Everyone can benefit from being a part of a community of peers where you can talk about similar experiences, discuss topics you’re all interested in and learn from each other. Adoption support groups can provide you with that community of peers, whether you’re an adoptee, a birth parent or an adoptive parent. Even if you’re not the one who needs support right now, maybe you can provide that support for others who do need it. The adoption process can feel lonely for adoptive parents and birth parents alike. It helps to talk to other people who have experienced similar situations. Even after the adoption is finalized, it can be nice to connect with people who’ve been in your shoes. It’s good to have a place where you can talk about this part of your life that not everyone is going to fully understand unless they’ve been touched by adoption. Joining a support group for adoption doesn’t necessarily mean that you’re experiencing a problem of some kind. It just provides you with a friendly adoption community! Chances are there’s an adoption support group near you. A quick Google search can narrow it down pretty easily. The National Infertility Association, RESOLVE, allows you to search for their support groups by zip code, or you can join in one of their online support groups. The On Your Feet Foundation offers retreats, mentoring, counseling and educational grants to birth mothers post-adoption. BirthMom Buds also offers retreats, forums, a newsletter, a blog and even poetry to connect birth moms to each other. They support pregnant women considering adoption as well as birth mothers post-adoption. If your area doesn’t have an adoption support group, this may be an opportunity for you to start one up to provide and receive support from others in your local community! If you find that the nearest local meetings are a bit too far for you, online adoption support groups and forums can be a good way to discuss adoption with others. Remember that many online forums and discussions aren’t very well monitored, so anyone (even those who aren’t very educated about adoption or who have inaccurate information) can jump in and comment, so be wary. You can find foster care and adoption support forums by state, which could also help you find local, in-person meetings with members in your area. National Adoption Center has online forums for adoptive families of every kind, adult adoptees and birth parents. Adoption Knowledge Affiliates has monthly meetings in Texas, as well as helpful resources for adoptees, adoptive parents and birth families. Families for Russian and Ukrainian Adoption offer resources, forums and support to adoptive families and adoptees of Eastern European adoption. The Center for Adoption Support and Education (C.A.S.E) offers webinars, workshops, publications and free resources for adoptive families, adoptees and foster care families. They can also connect you with local adoption professionals who specialize in therapy and counseling in your area. Families with Children from China (FCC) boast a network of parent support groups through the U.S, Canada and the U.K. for adoptive families who’ve adopted children from China. There are hundreds of local chapters that you can join. You can also learn more about starting your own local chapter. Search adoption support groups by state at American Adoption Congress, where you can narrow results down to your area and learn how to start your own adoption support group. DailyStrength provides online support groups for adoptive families, particularly those in the early adoption process. 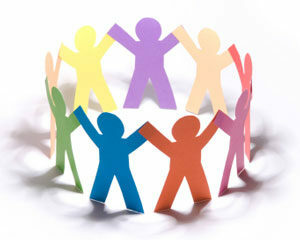 Gay Parent Magazine has a great resource of parent support groups within the LGBTQ community. The Guatemala Adoptive Families Network offers support to families who’ve adopted their children from Guatemala. National Adoption Center has resources, educational seminars and support specializing in special needs adoptions and the adoption of children from minority cultures. The Child Welfare Information Gateway provides information and resources for birth parents, adoptive families and adoptees of all types. 211 is helpful for finding local support groups and adoption-related resources for you to utilize. You can also subscribe to receive news and information on adoption from Adoptive Family Magazine or the American Adoptions Newsletter. In the age of social media, we’ve all seen the benefits and drawbacks to constant contact and the overwhelming availability of information; not all of it truthful. Online support groups and forums through social media can turn from supportive to hateful quickly for some members. Use caution, and DO NOT go to social media for a primary source of accurate information on adoption. We hope that you will hear these as strong suggestions and recommendations based on both personal and professional experiences over the years. We feel strongly about the benefit of healthy support and the detriments of unhealthy outlets. This is what we have found to be helpful and unhelpful. DON’T… try to count how many families are “ahead of you in line” to adopt; that’s not how adoption works— expectant mothers will choose you on their own timeline, not yours. DO… know when to step away from social media if you feel staying involved is causing you more stress rather than relieving your stress. DON’T… compare yourself and your adoption journey to those of others; you’re unaware of all the facts and the full scope of the situation at hand. DO… use common sense and empathy when sharing photos of your successfully adopted children; other members are still waiting or grieving. DON’T… spread gossip, rumors, or unverified facts if you are not an adoption professional. DO… share your experiences AS your experiences, and remind others that every adoption journey will be different; there’s no one “truest” experience when all are valid. DON’T… express negativity towards adoption in a space where others are seeking comfort, refuge and positivity— take argumentative anti-adoption rhetoric elsewhere. DO… trust your adoption professional over someone on Facebook; adoption professionals want to help! If you feel like you just aren’t able to emotionally connect with anyone through a support group, call your adoption specialist and ask if they can match you with someone who’s gone through a similar experience, or is currently going through something similar. It can help to talk one-on-one with someone who’s been in (or maybe still is) in your shoes to support one another through your adoption experiences! Don’t forget– you don’t have to go through it alone. I am so sorry for your extremely painful situation. I’m so thankful you are open to loving ALL of your family members, and thankful you chose life for your son in such difficult circumstances. Praying for you…. Hi, Rosalie — If you are considering adoption, you can view our waiting families here: https://www.americanadoptions.com/family_profile/browse. We encourage you to call our adoption specialists at 1-800-ADOPTION for free, no-obligation information about the adoption process. I am looking for advice with a post family adoption. In January my sister gave birth to a baby boy that I adopted, I was there for the birth, cut his cord and did skin on skin with him. He had b en my son from the moment he took his first breath, I am now struggling with what I will tell him in the future, my sister has asked that it remain a closed adoption and he is not told who gave birth to him. But what do I do when he asks, if he asks? We live in a very small town and although it had not been confirmed people have been talking about our situation. I do not want my son growing up and feeling like he’s been lied to by I also feel I owe it to my sister to keep it unknown.. If she does decide on a closed adoption, you may consider reaching out to adoption support groups online for advice from other parents in your similar situation. We wish you and your family the best of luck in finding a solution that works for you all. Hello, I am the sister of two adopted brothers. I have been searching for a support group in New York City for siblings of adopted children but can’t find anything. Every group I’ve found is focused on the parents, but I am very much in need of a community of people who understand what it is to have adopted siblings and the difficulties that go along with that. If you have any resources or names of people I should contact I would greatly appreciate it. Thank you. I see you give info for adoptive parents and for birth mothers….where’s the support info for us that were adoptive??? I don’t see any links here. Hi, Lisa — Thanks for pointing that out. While we focused on adoptive families and birth parents in this article, here’s another article listing a great deal of adoptee support groups: https://consideringadoption.com/adopted/adoptee-support/adoptee-support-groups Hope you find what you are looking for! I think she ment adoptive parents. Not adoptees! I agree with her. I see all kinds for the birth mother and for adoptees. But not much of anything for adoptive parents or siblings. Hello, In 1983 I placed a child up for adoption. I knew that someday that I would have to come face to face with what I had done and there would be questions that would want to be answered, I just did not know when. Only a few people knew of this situation those many years ago. No one in my family knew about me being pregnant at 16 only my Mom, best friend and few adults that were close to my Mom. 8 months ago I got a text from the child i put up for adoption over 30 years ago. In this day and age anyone can be found with all the technology that is available. The child told me that the adoption records were open and all they had was my name , they did not want anything from me just to know where they came from. I was in complete shock that my past was staring me right in my face at one of the most difficult times in my life. I am married and it is not in a good place right now, then this happens. The child left a phone number where I could call , but I have not made the call yet. 3 months after that text my daughter called me and told me that she got a Facebook comment and pix sent to her from someone that she did not understand and was upset and confused. I Told her to send the comments and pix to me .When I received it I almost had a stroke!!!!! The child I put up for adoption had found me on Facebook and contacted my daughter and told her who they were . I did not know what to feel at that moment . I was pissed off that this child was so RECKLESS to divulge sensitive and private information like that not knowing or caring of whom they hurt. I talked to my daughter and explained it as a mistake in identity and she was understanding and that was that. That night I ERASED my Facebook account and any other social media stuff that I had. I want to reach out to the child and to give all the unanswered questions that they may have, but the careless and reckless behavior pushed me further away. I so want to make that call so I can get an address and write. I just don’t know when. Does anyone have any advice they could give me ?? ?